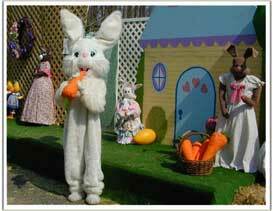 Hayrides to Bunnyland at Linvilla Orchards beginning this weekend! Spring is definitely in the air. Hop aboard a hayride through the woods to visit the Easter Bunny house in Bunnyland. Once in Bunnyland, relax for story telling, indulge in treats and snaps some photos with your favorite Easter friend! After your hayride, enjoy a pony ride, get your face painted and visit the fluffy chicks and woolly lambs. Be sure to visit the new Garden Center and Farm Market. The Garden Center will bloom with pansies, primroses, perennials, and all the traditional Easter flowers. The Farm Market’s bakery will be stocked with Easter breads, Easter cakes, and of course Easter candy. Cheese babkas, hot cross buns, cupcakes, cookies and Linvilla’s famous pies will be freshly baked in the bakery for your enjoyment and holiday celebrations.